When weeds, in wheels, shoot long and lovely and lush. It was a blustery day today, and I imagined several times that my house might actually blow away with me in it. I heard strange crashes and thuds from outside all afternoon, but we seem to still be where we were this morning. 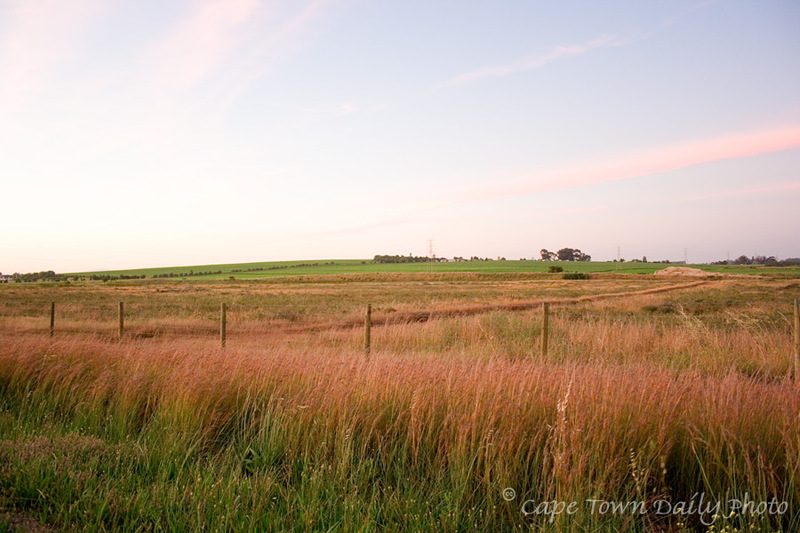 This photo was taken as the wind began to settle down for the evening, from Bottelary Road near Stellenbosch. Posted in General on Friday, 16 November, 2007 by Kerry-Anne.